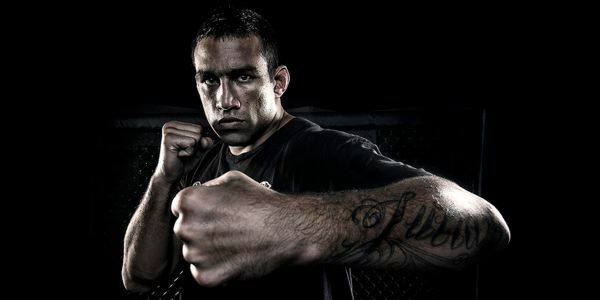 Fabrício Werdum was born in Porto Alegre, Brazil July 30, 1977. He is a Brazilian mixed martial artist and former UFC Heavyweight Champion. He is also a two-time Brazilian jiu-jitsu world champion, a two-time Abu Dhabi Combat Club World Heavyweight Champion and European jiu-jitsu champion. 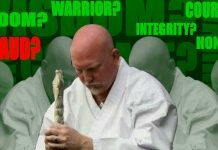 He holds black belts in Brazilian jiu-jitsu, Judo, and Muay Thai. Werdum has competed in PRIDE, the UFC, Strikeforce, and Jungle Fight. As of October 2, 2016, he is ranked as the #1 heavyweight contender in the official UFC rankings and #5 pound-for-pound fighter in the world by Sherdog. Often regarded as one of the best heavyweight fighters of all time, he was the first fighter to decisively defeat Fedor Emelianenko in mixed martial arts. He also holds notable victories over Cain Velasquez, Alistair Overeem, Minotauro Nogueira, and Mark Hunt. Werdum started training in Brazilian jiu-jitsu after being choked unconscious with a triangle choke by his then-girlfriend’s ex-boyfriend. He trained with Marcio Corleta at the Porto Alegre Academy, Winner Behring. 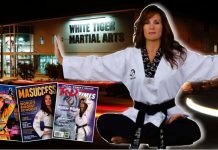 After success in competitive Brazilian jiu-jitsu and submission grappling, he started his career in MMA. He arrived in Spain to join his mother, who had moved to the city of Madrid some years before. 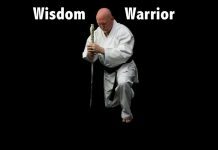 At the age of 22, soon after his arrival in Spain, when he was just a purple belt, he started teaching the art of Brazilian jiu-jitsu in Madrid and other cities of Spain. Despite only training with white and blue belts, he became a BJJ World Champion, being promoted to the rank of black belt by Master Sylvio Behring three years later. In 2005, Werdum made his PRIDE debut against Tom Erikson, winning by submission. Later that year he faced Roman Zentsov in PRIDE Final Conflict 2005, he was able to defeat Zentsov by a triangle choke in 6:01 of the first round. Werdum then had the first loss in his MMA career, when he lost to Sergei Kharitonov via split decision in PRIDE 30. Then in early 2006, Werdum defeated Jon Olav Einemo by unanimous decision in PRIDE 31. He accumulated a record of 3–1 in PRIDE before entering the 2006 Pride Open Weight Grand Prix. His first match of the tournament was against Dutch fighter Alistair Overeem, and he won via kimura in the second round. He then faced former PRIDE Heavyweight Champion, Antônio Rodrigo Nogueira in the quarter finals, losing via decision. Fabricio then had a short stint in 2 Hot 2 Handle, facing Alexander Emelianenko in a Heavyweight bout, and beating the Russian by submission via triangle choke armbar combination. Fabricio Werdum debuted in the UFC on April 21, 2007 at UFC 70: Nations Collide. He faced former UFC Heavyweight Champion Andrei Arlovski, losing via unanimous decision. He began to train in Brazil at Chute Boxe Academy and he is now more aggressive, showing improvement in striking, particularly his Muay Thai. At UFC 80 on January 19, 2008, Werdum met Gabriel Gonzaga in a rematch. Werdum won the bout by TKO. He weathered an early striking onslaught only to secure the Muay Thai clinch and connect with several knee strikes before taking Gonzaga to the ground and finishing him with punches. Werdum’s next fight was against Brandon Vera at UFC 85. He defeated Vera by TKO in the 1st round. Werdum achieved full mount with less than 30 seconds to go in the round and connected with a number of unanswered punches. The decision to stop the bout was booed due to the small amount of time remaining in the round, although the official time of stoppage was 4:40. In his next fight at UFC 90, Werdum was heavily favored to win but was knocked out in 1:20 of the first round via uppercut by debuting Junior dos Santos. After the loss Werdum’s contract was terminated by the UFC. Since Werdum was not contacted directly about the termination he had no idea he had been cut and initially denied the news of him no longer being in the UFC as just a rumor. After leaving the UFC Werdum then signed with Strikeforce. He made his debut at Strikeforce: Carano vs. Cyborg on August 15, 2009, against fellow UFC veteran Mike “MAK” Kyle. He won by submission in 1:24 of the first round. Werdum followed that up with a unanimous decision victory over Antônio “Bigfoot” Silva at Strikeforce: Fedor vs. Rogers. Werdum faced former Pride Heavyweight Champion Fedor Emelianenko on June 26, 2010, at Strikeforce: Fedor vs. Werdum. In an enormous upset victory, Werdum forced Fedor to tap via triangle/armbar 1:09 into the first round. The victory ended Emelianenko’s 28-fight unbeaten streak while propelling Werdum’s status up the Heavyweight rankings. He was ranked as the third best Heavyweight in MMA by Sherdog. The victory over Fedor also gave him the distinction of being the only man to hold victories over both of the Emelianenko brothers. A rematch with Alistair Overeem took place on June 18, 2011, at Strikeforce: Dallas as part of an eight-man Heavyweight Tournament. Werdum lost to Overeem by unanimous decision (27–30, 27–30, and 28–29). He has received some criticism for “pleading” Overeem to fight him on the ground in order to get into a position favourable to him due to his Brazilian jiu-jitsu background. On November 8, 2011, Werdum made his return to the UFC via contract-signing. It was speculated that his return fight might be against Brendan Schaub, a fight he expressed an interest in. The bout, however, did not materialize. Instead, for his return match, Werdum faced Roy Nelson at UFC 143 on February 4, 2012. He won the fight via unanimous decision (30–27, 30–27, and 30–27). The back and forth action earned Fight of the Night honors. Werdum next faced Mike Russow on June 23, 2012, at UFC 147. Werdum won the match against Russow in the first-round via TKO. Werdum coached opposite Antônio Rodrigo Nogueira on the second season of The Ultimate Fighter: Brazil. The two met in a rematch at the conclusion of the season, on June 8, 2013, at UFC on Fuel TV: Nogueira vs. Werdum. He won the fight via verbal submission due to an armbar in the second round. The victory also gives him the distinction of being the only fighter to hold submission victories over both Fedor Emelianenko and Antônio Rodrigo Nogueira both whom were former PRIDE FC Heavyweight Champions. Werdum faced Travis Browne at UFC on Fox 11 in a Heavyweight title eliminator bout. Despite being a betting underdog and considered at a disadvantage in terms of striking, Werdum dominated the fight for nearly all five rounds. He won the fight via unanimous decision (49–46, 50–45, and 50–45). On April 29, 2014, the UFC announced that Werdum and current champion Cain Velasquez had been selected as coaches for the inaugural installment of The Ultimate Fighter: Latin America, with the two expected to face each other on November 15, 2014 at UFC 180. On October 21, 2014, it was announced that Velasquez pulled out of the bout due to a knee injury. Werdum instead faced Mark Hunt for the interim UFC Heavyweight Championship at UFC 180. Despite being dropped by punches early on, he won the fight via TKO in the second round, becoming the new UFC interim Heavyweight Champion. The win also earned Werdum his first Performance of the Night bonus award. A rescheduled bout with Velasquez took place on June 13, 2015, at UFC 188 in Mexico City. In a back-and-forth affair, Werdum won the fight in the third round by guillotine choke submission. The win earned Werdum his second consecutive Performance of the Night bonus award. With the victory, Werdum unified the UFC’s heavyweight titles and became the undisputed champion. A rematch with Velasquez was expected to take place on February 6, 2016, at UFC Fight Night 82. However, Velasquez pulled out of the bout due to a back injury on January 23 and was replaced by Stipe Miocic. On the following day, Werdum announced that he was pulling out of the event due to an injury as well. The bout with Miocic was rescheduled and took place on May 14, 2016, at UFC 198. Werdum lost the fight via knockout in the first round after rushing in with an attempted flurry of punches and was caught with a counter right hook, suffering his first defeat since June 2011. Werdum was expected to face Ben Rothwell on September 10, 2016 at UFC 203. However, Rothwell pulled out of the fight on August 11 citing a knee injury and was replaced by former opponent Travis Browne. Werdum won the fight by unanimous decision. After the bout, Travis’ coach Edmond Tarverdyan angrily confronted Werdum, causing Fabricio to push kick the coach in the chest and raise his hands to defend himself. This resulted in both fighter corners having to get involved to separate the two men. No disciplinary action was taken against Werdum for the incident. Werdum was expected to face Cain Velasquez in a rematch at UFC 207 on December 30, 2016. However the Nevada State Athletic Commission failed to approve Velasquez to fight, determining after physical examinations and interviews that he was unfit to compete. The bout with Ben Rothwell was rescheduled and expected to take place on May 13, 2017 at UFC 211. The bout was been canceled due to Rothwell failing a drug test. A third fight with Alistair Overeem took place on July 8, 2017 at UFC 213. Werdum lost the bout via majority decision. Until November 2006, Werdum was the Brazilian jiu-jitsu coach to Mirko Filipović and is associated with Team Werdum BJJ Academy, located in Zagreb, Croatia. Also until 2008 Fabricio Werdum was a BJJ head coach in Madrid, Spain for the Barcelo Boxing Gym. Werdum is currently training with Kings MMA team. Werdum currently teaches in Venice, CA at his new school Werdum Combat Team. On October 4, 2015 Werdum signed a contract with Chechen Akhmat Fight Club and he will represent this club.